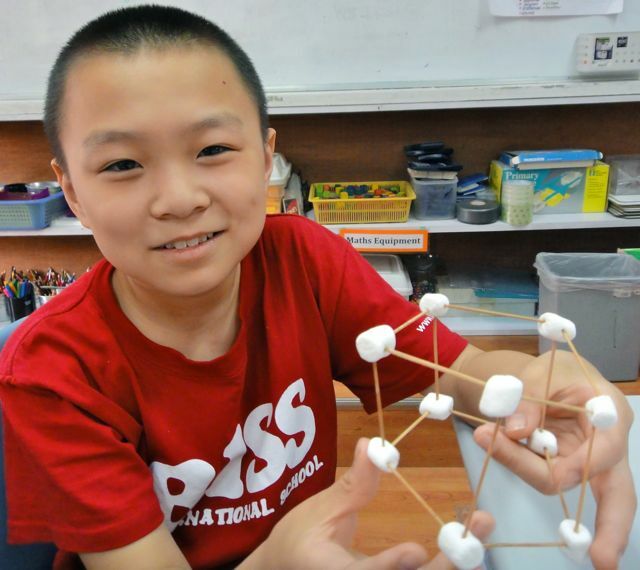 Have you ever used marshmallows in your maths class? Today, Grade 4 had a sweet morning! 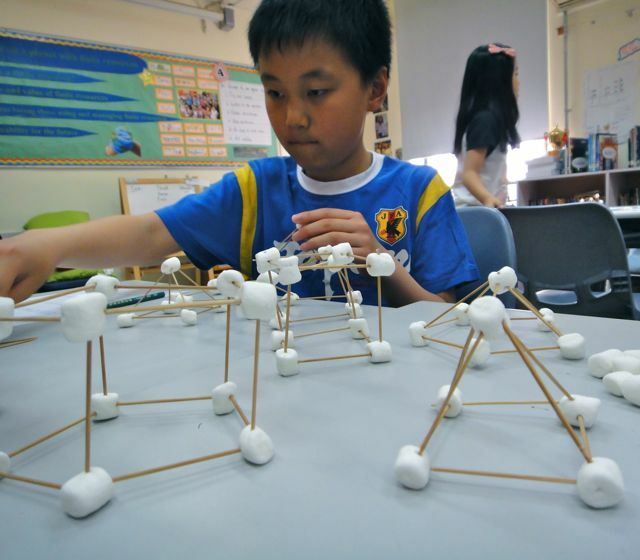 We made 3D shapes with marshmallows! 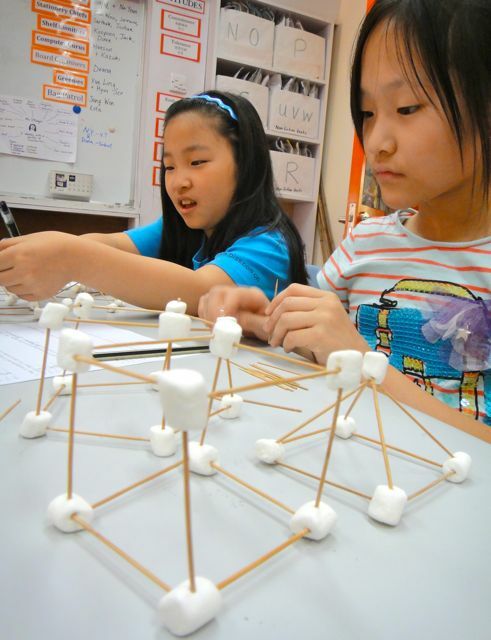 We used toothpicks to represent the edges and the marshmallows to represent the vertices. Ms.O’Dwyer gave us clues and we had to work out which object to make. Then we had to record its name, as well as how many faces, edges and vertices that shape had. Sometimes it was difficult to work out whether to build a prism or a pyramid. The hardest shape was the one with 24 edges, which turned out to be an octagonal prism. It was also tricky because the shape was always unsteady. The best thing was that after we finished making and recording, we got to eat the marshmallows! It was a very yummy lesson. 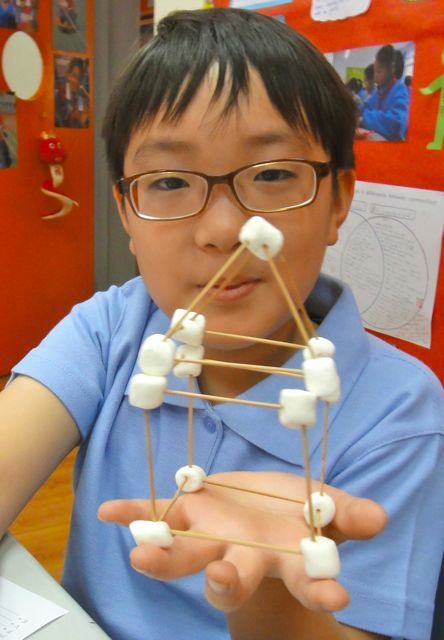 Making 3D shapes with marshmallows and tooth picks were great! It was very fun. 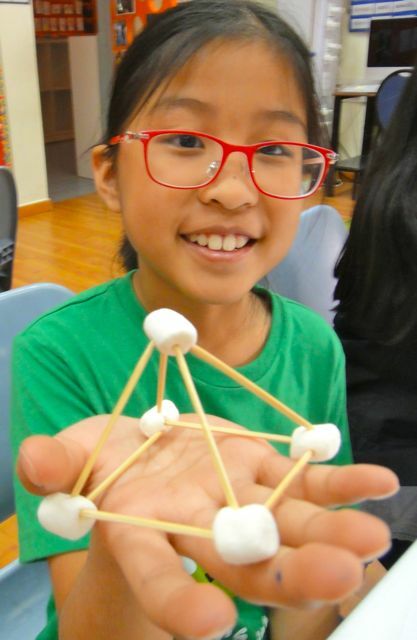 It was hard to make an octagonal prism, because it was unsteady and there were not enough tooth picks and marsh mallows. So we had to break some of the shapes we made. The best thing about this lesson was eating marshmallowsT It was very yummy. Thank you for making great math lessons! 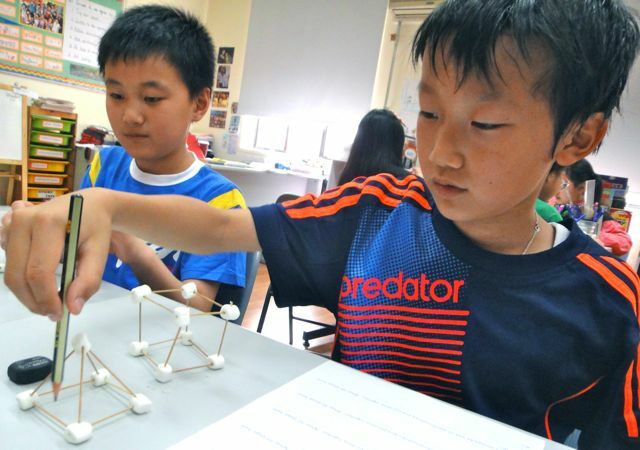 The marshmallow 3D lesson was so fun. I like eating the marshmallows because they are so sweat. Also, the part with making the 3D shapes was fun also. The small shapes can be picked up with one hand, but if the shape is kind of big it has to be piked up with two hands. The huge ones can break apart easaly. I also learned how many faces, edges and vertices those the shapes have.